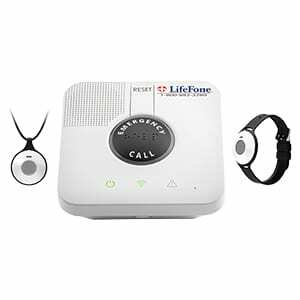 LifeFone plans offer most of the same features as other medical alert systems (waterproof pendants, battery backup, temperature sensor), but it has one important difference: a customized care plan. Providing medical alert devices and services since 1976, LifeFone is one of the leading companies on the medical alert market. With four different plans that have monthly pricing from $25 to $47 (fall detection is an extra $5 to $10 a month), LifeFone is one of the most affordable medical alert options. The customized care plan is based on paperwork you fill out when you purchase the equipment. The information it gathers includes contact information for family members and friends, doctors, and the front desk of your apartment building (if you live in one). It also includes any allergy, medical, and medication information necessary for your care. When you call, the service uses this information to determine what level of help you need. Coverage Range 1,300 ft. from base 1,300 ft. from base 600 ft. from base unit; 350 ft. from mobile unit Pendant works anywhere via GPS; backup pendant range is 300 ft.
Fall Detection Extra $5/mo. Extra $5/mo. Extra $10/mo. Extra $5/mo. Price (When Paid Annually) $24.95/mo. $30.95/mo. $36.95/mo. $42.95/mo. Price (When Paid Monthly) $29.95/mo. $34.95/mo. $39.95/mo. $46.95/mo. We love that no matter what service level you sign up for, you get a customized care plan. Knowing that you can ask for different levels of help and avoid the costs of an emergency response is great. LifeFone isn’t the cheapest plan on the market, especially once you add in fall detection, but it also isn’t the most expensive. When you compare it to others like Bay Alarm Medical and Life Alert, you see how moderately priced the annual rate is. LifeFone offers all its products and services with no added start-up costs. They also come with a lifetime price and equipment guarantee. Yes, LifeFone offers some reasonably priced annual plans, but if you can’t pay annually, you’ll end up with a relatively expensive plan. For its At Home and On-the-Go Pendant Service with added fall detection services, you’ll be paying over $50 a month. That’s a pretty steep price point. LifeFone does offer other extra services, like daily check-in calls and activity monitoring, but they increase your bill by about $20 a month. If you stick with the basic service plan and pay annually, you’ll be fine, but be very careful when adding any extra services. It’ll add up quickly! LifeFone’s simplest plan is also one of its best plans. As long as you already have a landline for your home, the landline plan is affordable ($24.95 a month when paid annually) and reliable. It also has a great range from the base, allowing for a lot of mobility around the house. 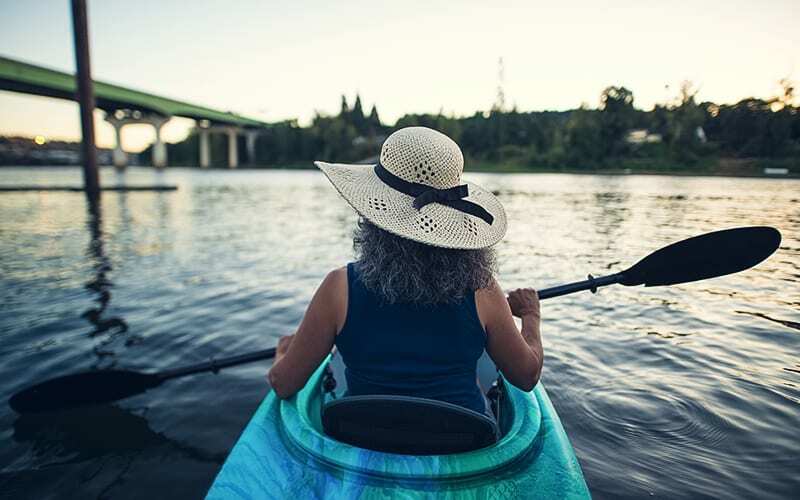 If you’re someone who leads an active lifestyle, the At Home and On-the-Go option is a little pricier, but still a great plan. Almost all the customer reviews for this company are positive. Some people report a negative experience with the monitoring center, but even then, LifeFone customer service responds quickly. It offers 24/7 monitoring, and call centers in New York answer all calls. This makes it much easier for customers who might be hard of hearing to navigate their system and ask for the help they need. No medical alert device will work if you don’t wear it. LifeFone offers not just pendants but also bracelets that resemble wrist watches, so you can choose the most comfortable way to wear your alert system. It’s a small thing, but we don’t like that the color of the call button on the base station is black instead of red. In an emergency, you want your call button to be easy to find. The emergency button on LifeFone’s base is large and clearly labeled, but since it’s black instead of the traditional red, there is potential for user uncertainty in an emergency. Few medical alert systems include fall detection in their plans, but we wish they did. 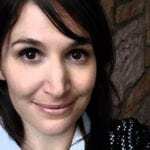 A fall is a big risk, and the technology to monitor it is usually already built in to the devices. The question is whether or not it’s monitored. If the feature was included, LifeFone would really be a standout product. Do I need a cellphone or smartphone for this service? No. A mobile device is helpful for the On-the-Go plans, but if you don’t have a cellphone, the landline plan will most likely meet your needs. The On-the-Go plans will work best with a smartphone. I still live at home. Do I need more than one base station? These systems are designed to use just a single base, and your pendant will cover you for most of the area you move around in. However, the pendants max out their range at about 1,300 feet. If your home is larger than 1,300 feet, or if you lead a very active lifestyle, you may want to consider an On-the-Go plan. What if I don’t need an ambulance but still need help? Because LifeFone is one of the only medical alert systems to offer a customized care plan, you will not get an ambulance or emergency services every time you hit the call button. One of the first questions LifeFone will ask you is what level of help you think you need. Then it will contact someone on your care plan to make sure you get the help you actually need. How do I know if I need fall detection? Falling is one of the greatest risks for people with medical needs who live alone. Fall detection can literally save your life. However, many customers may feel like they don’t need it because they live in a single-story home or are fairly active. If you aren’t sure, ask your family or doctor about your risks for falling and what could happen if you did fall. They can help you determine if paying the extra monthly fee will be worth it for you. 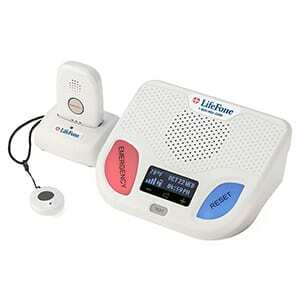 LifeFone is a great choice for your medical alert needs and can offer great peace of mind in a medical emergency. Its US-based response center and customized care plans set it apart from other medical alert systems. However, while the basic plans are affordable if paid annually, services will get expensive fast if you add extras or pay monthly. 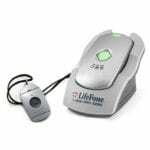 We evaluated LifeFone through extensive research into the company, its plans, and the plans of other medical alert systems. We scoured user reviews and looked for patterns in the negative reviews. For more information, see our Methodology.